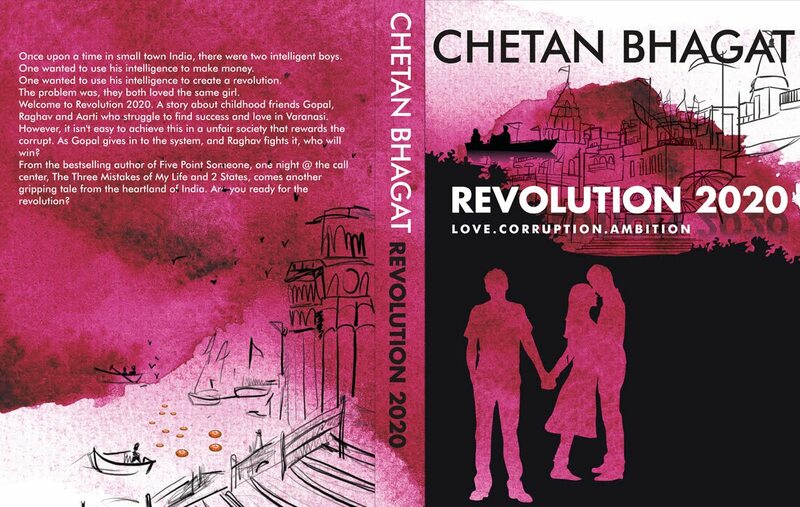 Revolution 2020 Screenplay-Action! | Sleep Late Tomorrow! nice divya 🙂 unfortunately I read all his books too… nothing like five point someone.. Thanks 🙂 Hopefully he will realize that someday too! I agree with you that his writing is shallow and he “clearly has no idea what the hell he is talking about” but I am not sure if he “since “Five Point Someone” was hinting towards a career change into Bollywood”. I feel from the beginning his books were aimed at Bollywood. After all Five Point Someone did “inspire” the biggest commercial hit movie of that year, 3 idiots. Either way, the man is very popular in India and IS making a lot of money. Earlier I saw him on TV, giving his view on different social issues and now I even see him endorsing shaadi.com. Thanks for the detailed discussion! I agree that he has birthed a very successful money making scheme. 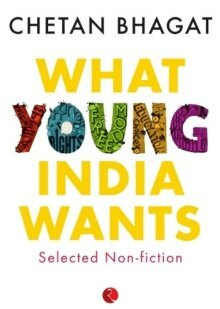 I also agree with your observation that a lot of people in India have probably read out of curriculum books for the first time because of his popularity. Like you, I’m hoping they’ll come across some form of criticism like this, and broaden their horizons to include better authors! Nice Divya. I too have read all his books except the last. I endorse your views on each one of his books. Five Point Something–Was something! The rest– especially -One Night @the Call Centre- made me wonder if it was written by the same person!! That our film makers still want to make films based on his novels, is a mystery to me! Thanks Viraja Akka. I really hope they look to better authors for inspiration henceforth! I too have had the same views while reading his books. The main reason why his books are so famous is that, people could or students could relate the incidents to their own lives a bit more easily. I personally liked “Five point someone” and “Two states”, the rest I just read out of curiosity. His books are definitely looked upon by Bollywood too, 3idiots,kai po che and who knows what’s yet to come. Thanks Akhil 🙂 If you are looking for better fare, I highly recommend “The Immortals of Meluha”. 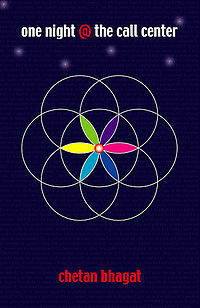 It is an extremely well written book, with a very interesting and realistic take on Indian mythology. Nayanika, Thank you for taking the time to express your views! 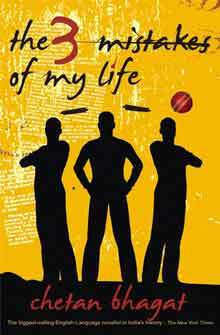 I don’t deny the fact that Mr.Bhagat’s books appeal to a large population, and are certainly entertaining to a multitude of age groups. My criticism of his writing is my personal opinion and may or may not represent how others feel. However, I do appreciate your defense of his writing. A book should be able to make the reader feel good, and I’m glad his books do that for you! 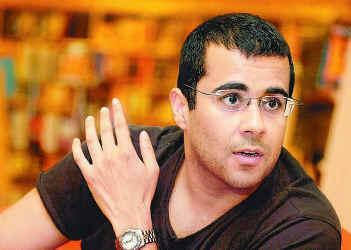 And yes,I am a bookworm being a big fan of authors like Khaled Hosseini and Dan Brown;I dont just read Chetan Bhagat! Some works by both of them are truly spectacular. My review of Dan Brown’s latest Novel “Inferno” might be of interest to you! 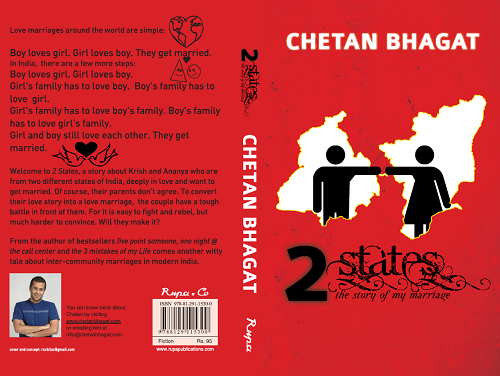 this one is my first book of chetan bhagat. It grips me right from start of the book and engage throughout the book. If you ever in love , while reading this you will certainly remember your days and would sympathies with Gopal ( if you able relate to him). 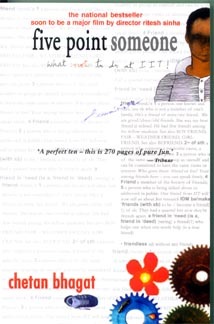 Although ending is quite filmy, throughout the book characters has been placed very well and plot has been interesting , although its character of Raghav should have been explored more. It was a good read worth a try.